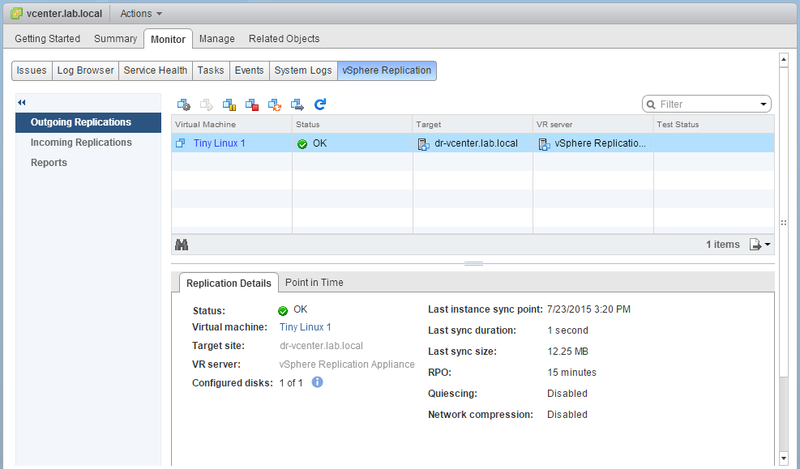 Now that we have vSphere Replication installed, and our primary and DR site’s connected, it’s time to get a VM replicating. 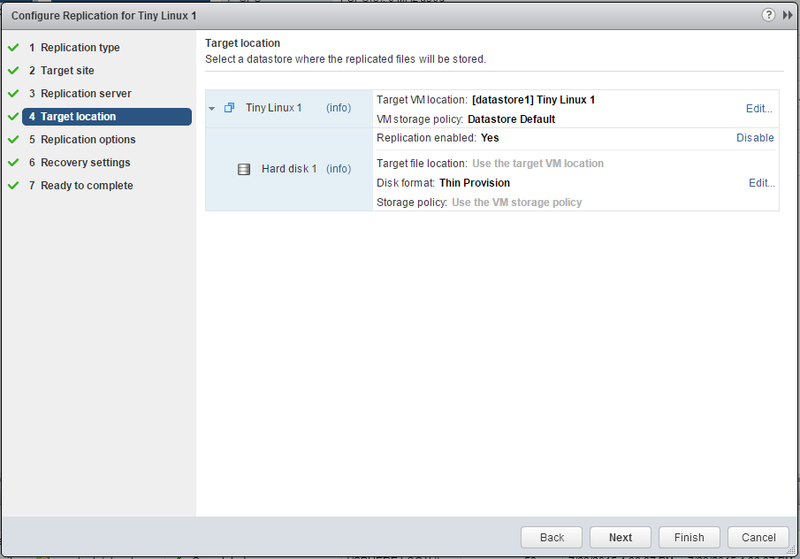 In my nested lab, I have a VM running Tiny Linux that we will replicate. 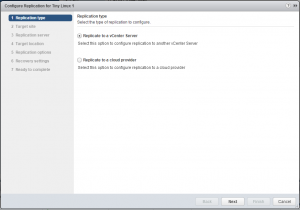 First step, is the right click on the VM, and choose “All vSphere Replication Actions”, and then “Configure Replication.” vSphere replication has the ability to replicate to a cloud provider, but in our case, we will be replicating to another vCenter server. Click Next. Select the target site. 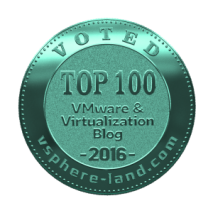 VMware allows for replication within the same vCenter site – but we will replicate to out DR site. 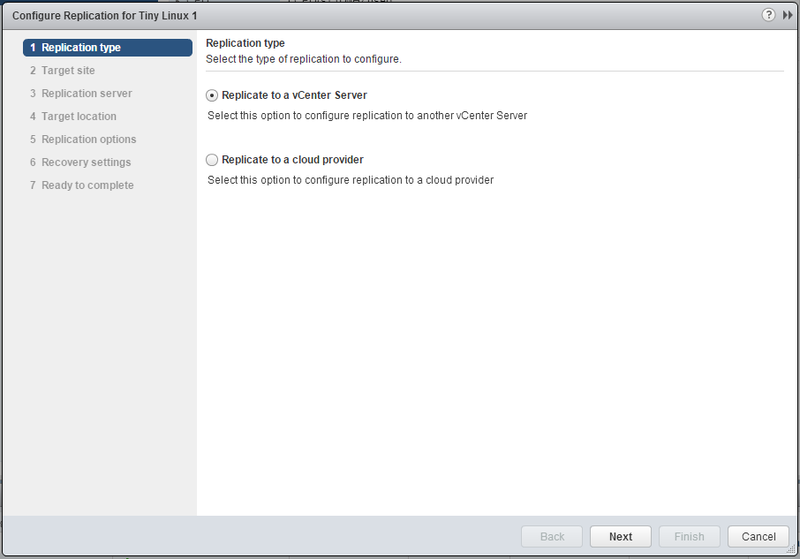 Next, we choose which replication server to use. 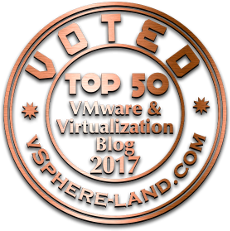 In our lab, we only have 1 per site – but in a production environment, you may have multiple replication servers deployed, to handle all the VM replication traffic. In most cases, leaving it on “auto-select” is best. After clicking Next, we get to choose the Target location options. 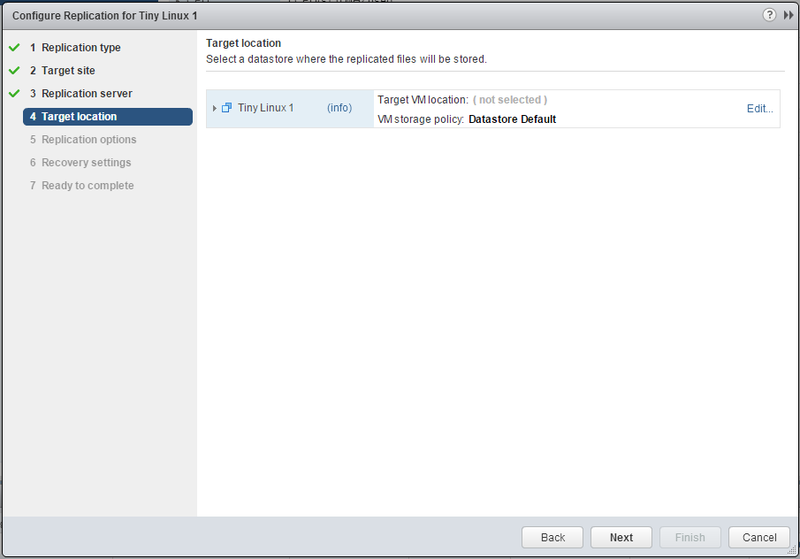 By choosing “edit” next to our VM name, we can select the target datastore, and storage policy. 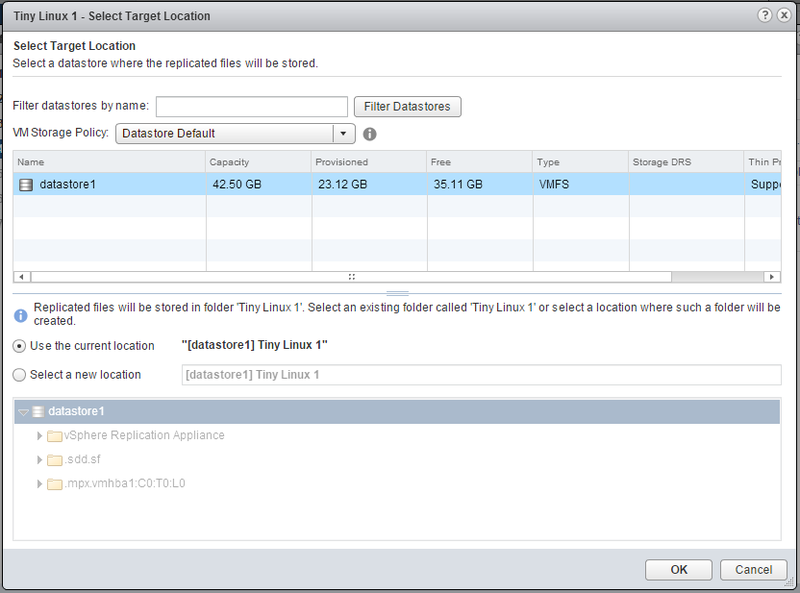 Selecting “edit” next to each hard disk will allow the option of placing it on a different datastore, and the additional option of thin of thick provisioning. 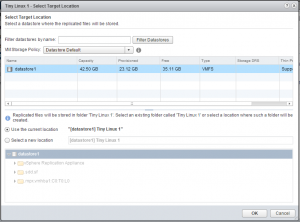 These options are handy when you have different tiers of storage available at the remote site – allowing for some hard disks to be placed on faster storage, etc, ensuring the performance while failed over. 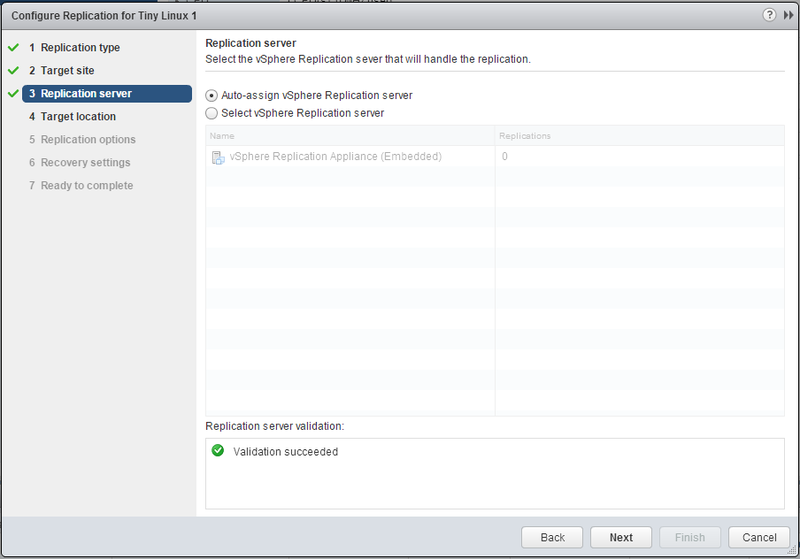 After verifying the setting, next up is the Replication options. The two options are Guest OS quiescing and Network Compression. 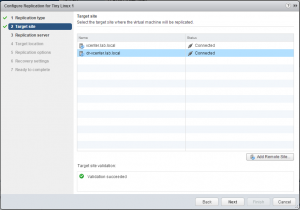 Guest OS quiescing – enabling this option will allow vmtools to initiate a vss flush within a windows guest. 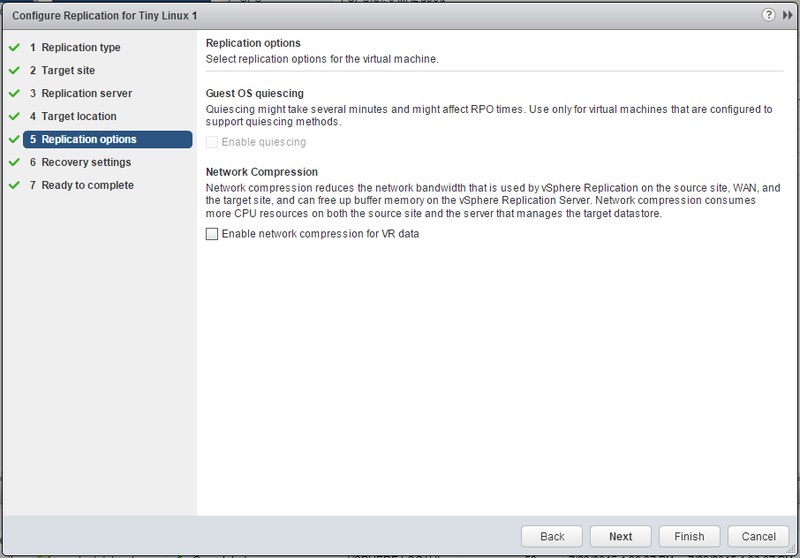 This option will increase cpu load on the vm, and also may increase rpo time. Network Compression – In most cases, this will be enabled. 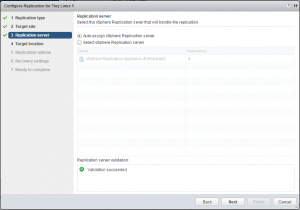 Since we are replicating on our LAN, there is not need to enable, as it will just consume more cpu cycles. Last is Recovery Settings. 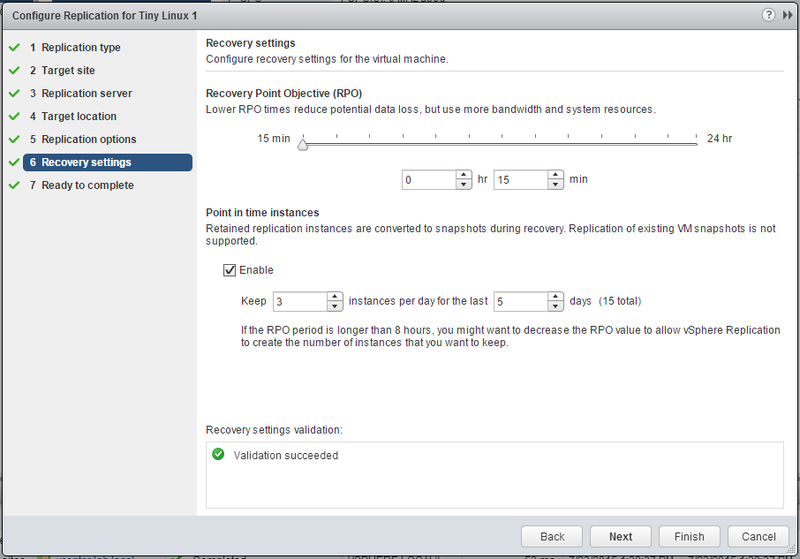 Here, we can choose an Recovery Point Objective time from 15 minutes, to 24 hours. The other option is Point in time instances. 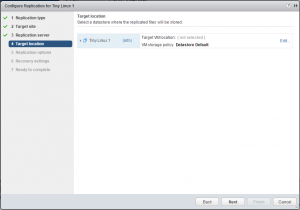 This is a new feature for 6.0, and is very welcome. 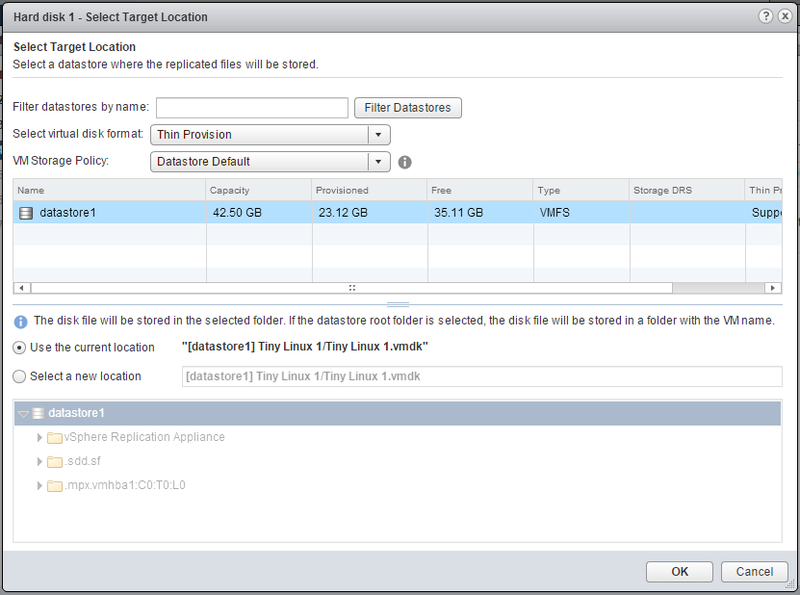 This will allow for some snapshots to be maintained at the DR site for this VM at certain intervals. The benefit being that if a guest is corrupted, we have multiple points in time to failover from in case the corruption already replicated across sites. 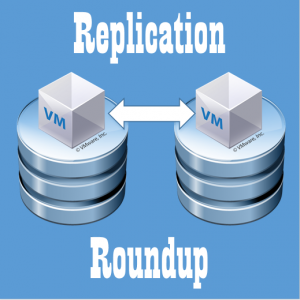 After clicking next and finish – replication of our VM will start. 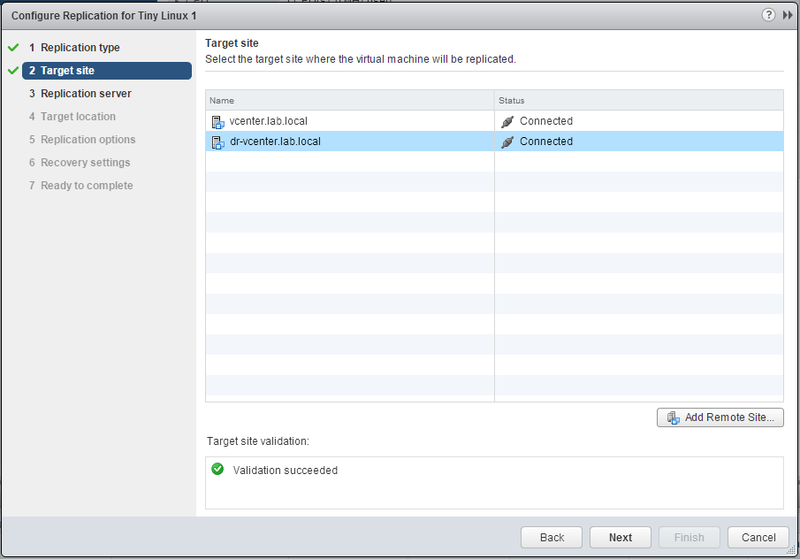 Monitoring of VM replication in the Web Client is done under the Monitor tab of the vCenter server.